Not being able to decide to use an SQ bias or SPL bias woofer, the teams will be tasked to install both. The cars once built will be entered into a Sound Quality Class (Master 5,000 euros) and an SPL class (B/r Class – Which means you can build a box up to the roof in the trunk area, or as far forward as the B-pillar but no higher than the window line). What’s new in the EMMA 2018/2019 competition disc http://emmanet.uk/product-category/shop/official-cd/ is the sub bass technical track where competitors must build and tune their systems to play 100hz, 80hz, 60hz, 40hz and 30hz with smooth and linear loudness, in front of the listener without making non-musical noises (rattles) in the car. For SPL duties we have the Xmax Nuclear 15. This is an absolute monster of a subwoofer with an FS of 29.5hz and a power handling of 4,000 WATTS!! 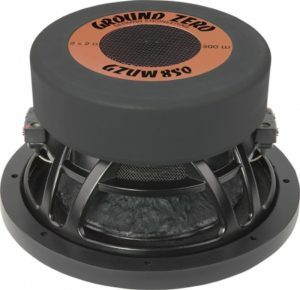 Ground zero is unique in its offerings by telling you how good their speakers are for a given task, one smiley face is good and six is excellent… The Xmax Nuclear 15 has four smiley faces for SQ AND SPL. 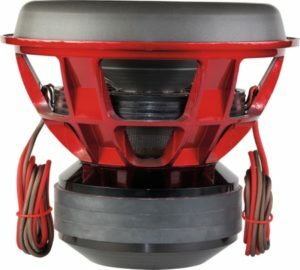 Does this mean that both teams will try to use the SPL woofer for SQ duties as well? Does this change their box ideas? Will making a musical box make them not as loud? Are they sure they can get the 8” Uranium to perform to get all the points they need in SQ? Can you tell we are excited?